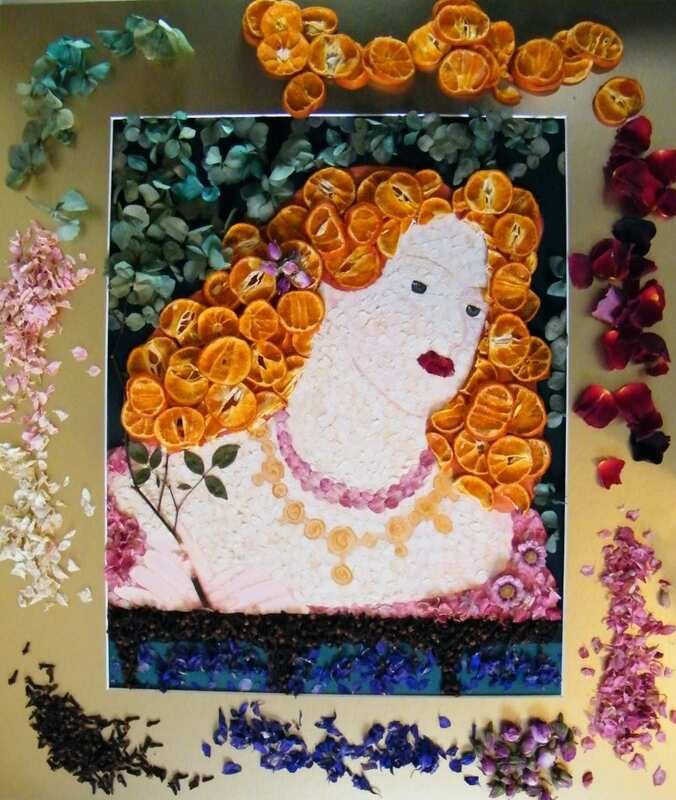 This was one of my dried flower art projects last year (see my original Rosamund post). This is what it looked like before, and there were aspects I wasn’t happy with. Rosamund dried flowers picture – old. Rosamund in dried flowers – new. Rather than gluing down every last petal like I did previously, this time I added loose dried flowers to build up the surface – so it’s very much temporary now! 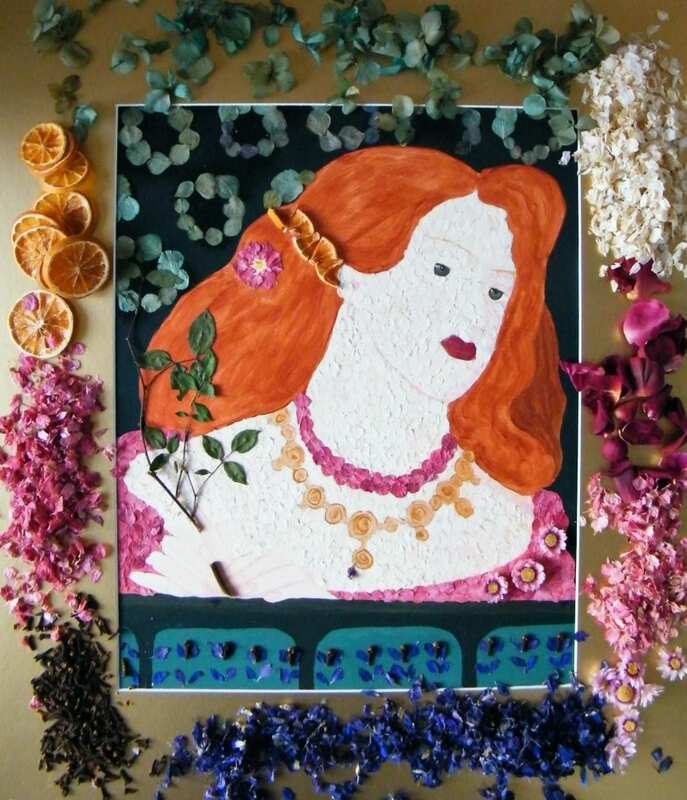 The background at the top was made from a sprinkling of preserved hydrangea florets. They were originally intended to represent a bottle glass wall, but my skills were not up to the job! I reshaped her lips with freeze dried red rose petals, and I quite like the kissed lipstick look she now sports. I rebuilt the wall at the bottom of the picture in cloves and dried delphinium flower petals, and boosted her pink dress with more petals. So I now have two bare areas remaining – her gold necklace and hands. I can think of some ideas for her necklace, but her hands may prove difficult if they are to be fully resolved from her neck and dress. Here is another attempt I made last year at dried flower art – a union jack for the jubilee – in retrospect I should have made this in loose petals too. Do let me know what you think of my dried flower art!